This beautiful English net gown is arranged in an asymmetrical style along the bodice giving it a gorgeous fuller appearance. A full cascading ruffled skirt is layered in beautiful, simple chiffon. 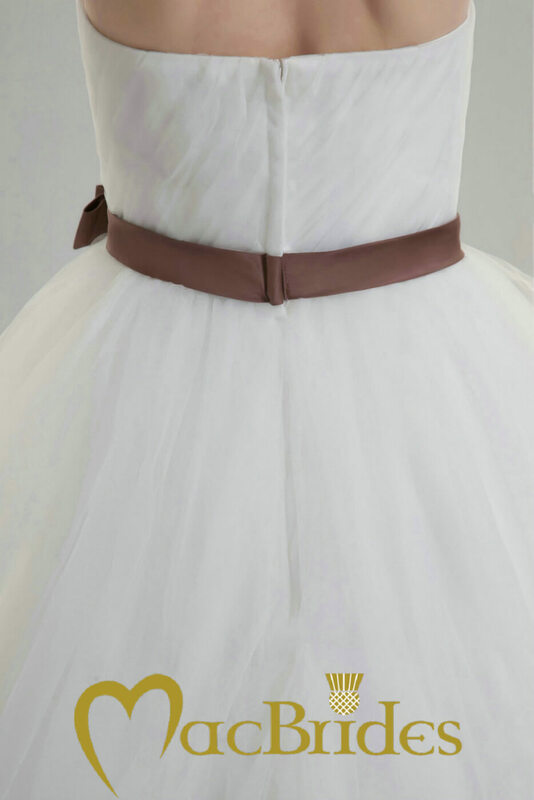 The skirt shown here is an A-line style presenting the bride with a fairytale, princess feel on the day. 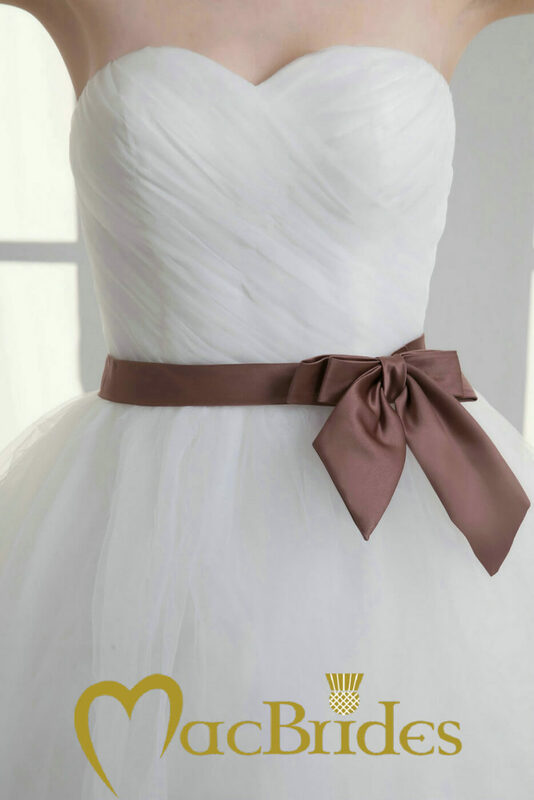 The look is completed with a ribbon sash which can be produced in any colour requested. Click here to view our full colour range. SKU: MCB462. 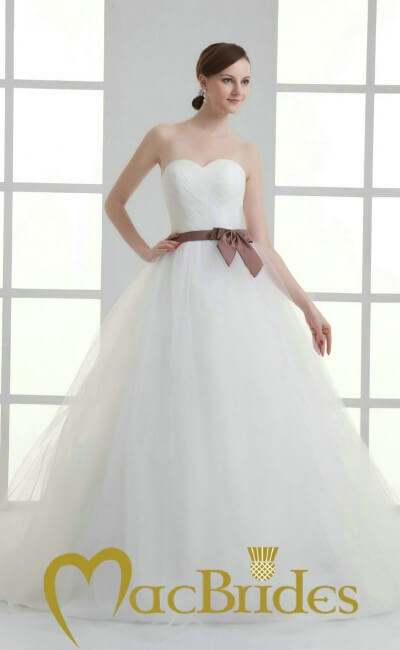 Categories: Dresses, Wedding Gowns. Tags: fairytale, strapless. Sign up for info on special offers and coupons. © 2017 MacBrides. All images and information contained in this website are copyright protected. Main Office: Macbrides, 24 Langshaw Crescent, Carluke, South Lanarkshire, Scotland, ML8 5DN. Tel: 07881 387806.